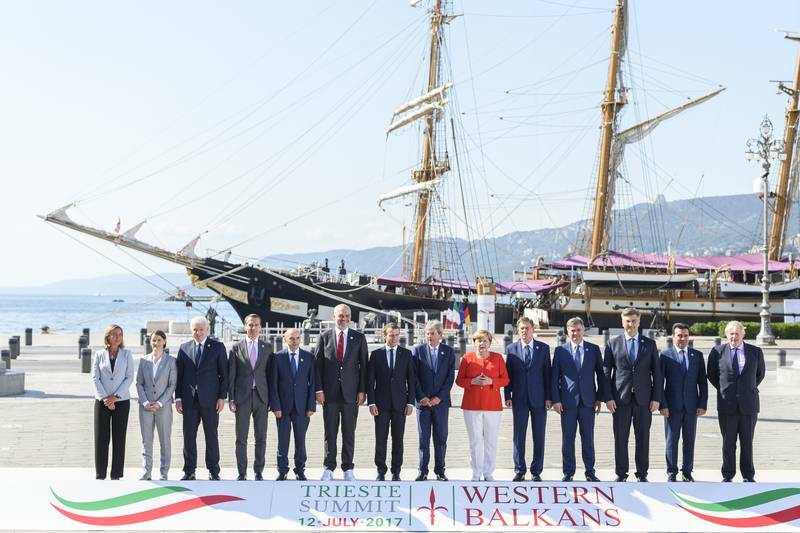 The long-awaited EU summit with the six countries of the Western Balkans - Serbia, Montenegro, Macedonia, Bosnia and Herzegovina, Albania, and Kosovo - in the Italian city of Trieste on July 12 ended with several important messages not only to the countries of the still too turbulent post-Yugoslav region, but also to the EU itself. Before the start of the several hour-long meeting, the re-establishment of the German-Franco-Italian triangle was announced, last seen in the EU when Mario Monti was prime minister of Italy. 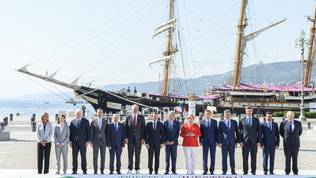 The leaders of the three countries met on a beautiful ship, anchored just in front of Trieste's Unity Square, where the Berlin Process summit took place. Italian Prime Minister Paolo Gentiloni, host of the meeting, said the three leaders have confirmed the need to re-launch the European Union, which is to be more cohesive and stronger. German Chancellor Angela Merkel and French President Emmanuel Macron admitted "the sins" of their countries and of the EU as a whole that Italy was not helped earlier with the heavy migratory pressure it is facing. "We want to demonstrate solidarity with Italy", she said, adding that the EU cannot be just a union of economies. "We have to cope with all challenges together", were her words - a direct message to Central European member states who refuse to show solidarity with regard to migration. French President Emmanuel Macron believes that humanitarianism needs to be linked to efficiency when addressing the migration crisis. With regard to Europe, he said it should be re-founded. "We need to identify the shortcomings and solve them", he said, and again stressed the need to find democratic ways to bring the European project to a new life. This is a message to the EU itself, which was also signalled by the European Council at the end of June in Brussels, but also to the Western Balkans. The region still feels that the EU has withdrawn from the region, is in a deep crisis, and has no time to deal with Balkan affairs. The Franco-German-Italian trio decided to show that it is the exact opposite. The three leaders made these statements after they disembarked the ship and addressed journalists in the burning sunlight before the start of the meeting with the Western Balkans, about which Mrs Merkel said it was "our common duty that these countries develop well and guarantee that they, slowly but surely, move towards the EU". In her words, the political stability of the region is also political stability for the EU. For Paolo Gentiloni, integration of the Western Balkans into the EU is an irreversible strategic goal. He expressed hope that this process would be accelerated. The big brake, however, lies in the countries of the Western Balkans themselves and their political leadership. This was clearly articulated by EU Commissioner for Enlargement Negotiations Johannes Hahn (Austria, EPP), who said during one of the numerous pre-summit forums that he worries that society in these countries is divided into two parts - politicians and civil society. He said it was time to put an end to ongoing discussions and dialogues, and move on to actions, establishing rule of law, which would create the right conditions for foreign investment. Johannes Hahn hopes that accelerating the development of the economies of the six countries will provide them with a faster fulfilment of the political criteria. "I'm so convinced that without investing, stimulating the economy we will not be making progress in the area of fundamentals [rule of law, democracy, protection of minority rights, freedom of expression and assembly]", he said. 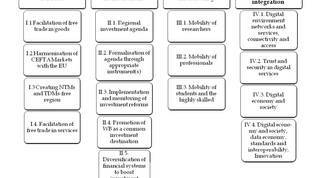 The economic part is also the essence of the Berlin process, which was launched in 2014 at the initiative of Germany. It is moving as an addition to the European integration process of the Western Balkans. So far, at annual meetings (here and here) there have been talks about separate small projects, but this year the plan known as "Berlin+" was presented. It consists of two parts. The first is the treaty for the creation of a transport community, which envisages the integration of the region into the EU transport market by bringing legislation and standards of the six Balkan countries closer to the European ones. In addition, it was agreed to build 7 new infrastructure projects, whose investment value is estimated at 500 million euro. Of these, 194 million will be funded by the EU budget and loans from the European Investment Bank and the European Bank for Reconstruction and Development. The rest will be national co-financing by the Western Balkans. 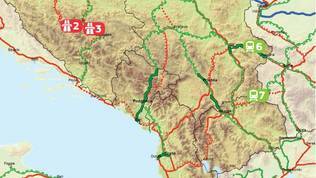 The projects are for the construction of motorways that are part of European corridors, that is, their role will be not only to connect countries from the region with each other, but also with the EU. 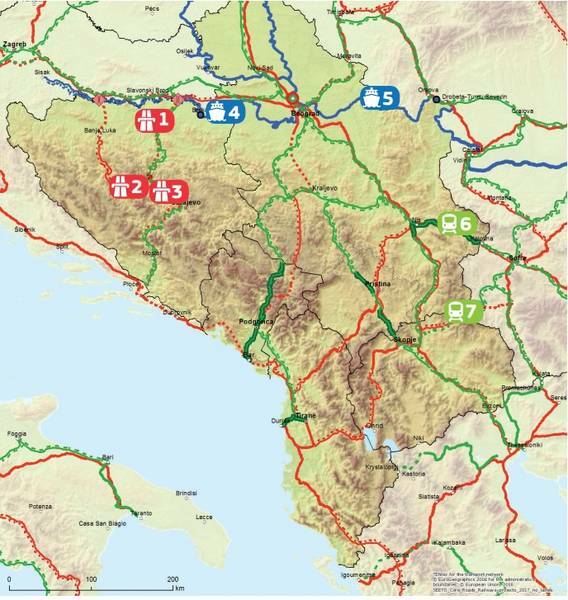 The three motorway projects are in Bosnia and Herzegovina. Two projects are for inland water connectivity. One is on the Rhine-Danube corridor, the Brčko port in Bosnia and Herzegovina, and the other is to rehabilitate the Đerdap lock between Serbia and Romania. There are also two projects for building railway connections. The first one is in the Orient-Eastern Mediterranean corridor, in Serbia, and the other one is along the same corridor, but in Macedonia. Another large and anticipated piece of news from the Trieste meeting is the creation of a regional economic area similar to the EU internal market. 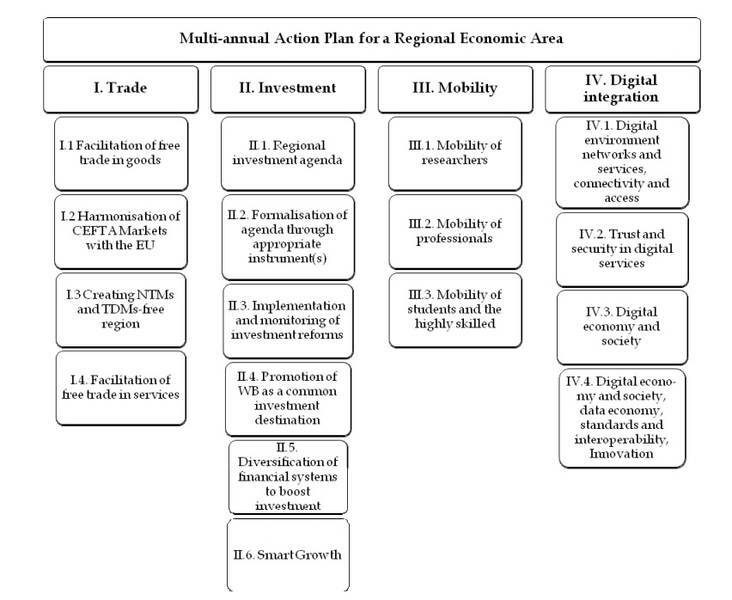 This is a multi-annual action plan that provides for a gradual easing of trade between the six countries, regional mobility, and the creation of a digital market. The idea of ​​a regional economic zone is based on the Central European Free Trade Agreement (CEFTA), EU legislation, and the Stabilisation and Association Agreements. The purpose of the plan is to remove obstacles to the free movement of professionals through mutual recognition of professional qualifications (doctors, dentists, architects and civil engineers). Facilitating trade in goods and services, turning the region into an investment magnet, and digital integration are also envisaged. Part of the digital integration will also be the creation of a roaming-free zone - an idea that the Bulgarian Presidency has been preparing. Despite being invited as a special guest at the Trieste meeting, Bulgarian Prime Minister Boyko Borisov did not present this idea. It is, however, an integral part of the regional economic zone agreement, which talks about coordinating roaming policy towards a roaming-free zone. The approved action plan has specific deadlines and its implementation will be monitored on an annual basis. The EU firmly states that this is not a substitute for membership. 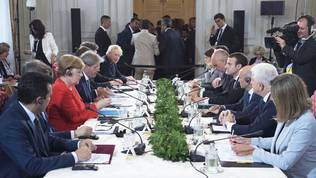 This year, at the Trieste meeting, the Berlin process began merging with the European integration process. Although the EU, presented by the Italian-German-French trio, has expressed an unwavering commitment to the economic development and integration of the region, it has been clearly stated that there is no easy way to membership. The host, Paolo Gentiloni, recalled that although the meetings of the Berlin Process revolve mainly around the economy, the political scenario - the prospect of reforms, democracy, the fight against corruption, modernisation - should not be forgotten. He said enlargement as such was secondary at the meeting, but there will yet be political discussions in the EU itself on this topic, at which "we should confirm very openly to our Western Balkan friends that the perspective of EU is open and actively promoted by EU". Johannes Hahn also emphasised this by saying that if the Western Balkans want to be attractive to foreign investors, as well as to their own citizens, they must work to improve the quality and independence of their judicial systems and everything else that falls under the term rule of law. In the declaration after the meeting, the countries reaffirm their commitment to democratisation, stabilisation, and striving for external influences not to stand in the way of European integration efforts. The declaration reserves a special place for the civil sector as well, which, especially in Serbia, is facing serious attacks by the government and related media. A special commitment is also being made to fight corruption and organised crime. Pushed through by Italy, which recognises openly that it has serious problems with corruption and organised crime and that that is precisely why it can help, a declaration was signed confirming the common will of Italy and the countries of the Western Balkans to speed up their efforts in this direction. The declaration contains concrete measures that need to be taken like strengthening the systems for preventing corruption, increasing transparency, and the professionalising of public procurement. Although the participants were generally satisfied with the results, there was tension in the air in Trieste. Talks about bilateral issues between countries in the region were deliberately avoided, but they were still served at the table by not just anyone, but two EU member states - Slovenia and Croatia. The two countries have been unable to resolve their border disputes for decades. Prime Ministers Andrej Plenković and Miro Cerar met hours before the start of the meeting in Ljubljana to try to find a solution, but both did not budge an inch from their current positions on the work of the arbitration tribunal from which Croatia unilaterally withdrew two years ago because of revelations of political interference from the Slovenian side. Another unpleasant piece of news from the summit is that Bosnia and Herzegovina has not signed the Transport Community Treaty due to the resistance of the government of the Serbian entity, Republika Srpska. The EU's High Representative for Foreign Policy and Security, Federica Mogherini shared her regret about this, but also her hope that the treaty would still be signed in the future. She did, however, warn that BiH has a responsibility to its citizens. "It's a year in BiH that has no elections. This is a good opportunity for the political leadership to respond to the expectations of their citizens, which is to move forward in the regional integration and in the EU perspective". In addition, Croatian Prime Minister Andrej Plenković admitted that during the meeting there was "a little frustration" on the part of the leaders of the region from the slow integration process in an institutional sense - the negotiations themselves or their launch. Montenegrin Prime Minister Duško Marković, however, was very pleased with the meeting and especially with the EU's clearly stated commitment. The next meeting of the Berlin process will be held in London next year. That should have been the last meeting of the process, but the participants agreed to continue it. 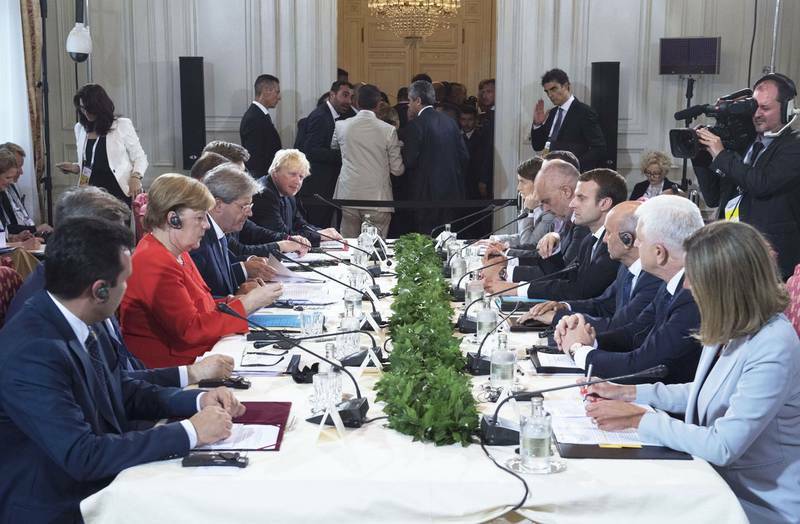 The July 12 summit was yet another step, and a big one, on the part of the EU towards the Western Balkans, which had been left on their own and facing a strong geopolitical current in recent years. The beginning of 2017, when tension in the region rose to the levels of the early 1990s, acted sobering for the EU, as euinside reported. The Trieste meeting showed that the Berlin Process is starting to play the good cop role. Through it, the EU supports its using the ever more hollow sounding phrase "European perspective" with concrete projects and money, and from non-pre-accession funds at that. Investing in the region serves as a sweetener for the tightening of the noose over the political leadership of the countries in the region, which remains the biggest challenge. The EU's message is that there will be no easy entry into the EU - the criteria must be met. This was very clearly stated to the recent Brussels favourite - President of Serbia Aleksandar Vučić - in Brussels, where he expected to get a specific membership date, but was put to a choice - with the EU or with Russia, with illiberalism or with liberal democracy. All these are steps in the right direction, but more are needed. Two very difficult tasks remain for the Union. How does it play the geopolitical card to the end, Serbia being the hardest country in this situation. Exerting pressure on Serbian President Aleksandar Vučić will not be without consequences and can cause political turmoil. The EU must prepare for this. Another problem is the financial commitment following the UK exit. Will the EU be as generous to the countries of the Western Balkans when the money in the common treasury is reduced? The Union will prove its continued commitment to the region when it sets aside enough money for infrastructure and support for reforms in the six countries during the negotiations over the next multiannual framework. Only then will they really understand what a European perspective really means. In order not to lose control over things, the EU must also engage more actively in mediation to resolve the worst bilateral issues. The fact, that the EU is already seriously talking about the need for democracy and rule of law, since it has been criticised so far for its preference to stability (stabilocracy being the term of Dr. Florian Bieber) to democracy, is also commendable. However, the biggest test remains at home - Poland, Hungary, Bulgaria etc. The summit was a debut for Serbian Prime Minister Ana Brnabić, who said that any meeting at which the countries of the region meet and talk is successful and that she will work for good neighbourly relations. The meeting was also a first for Macedonia's Prime Minister Zoran Zaev.